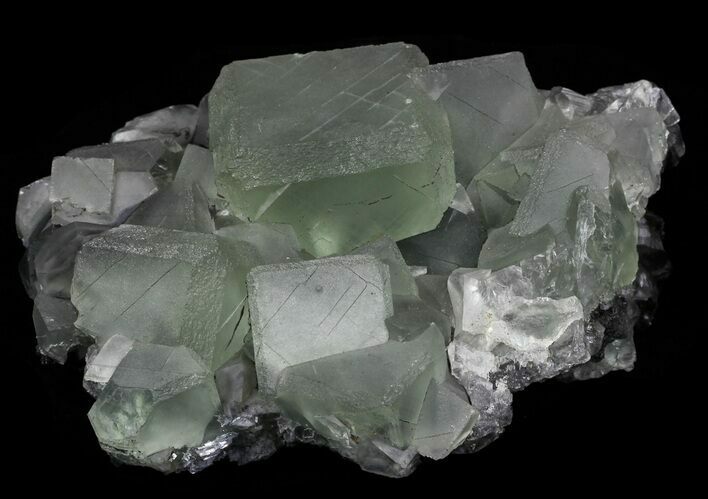 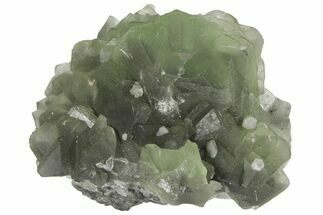 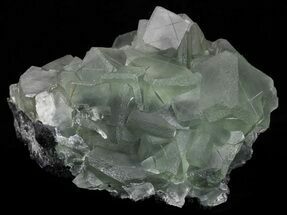 Here is a beautiful 6.58" light-green fluorite on matrix from the Xianghualing-Xianghuapu Mines, China. 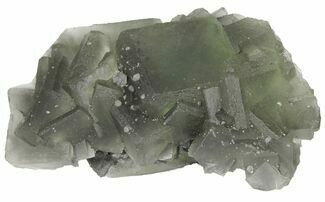 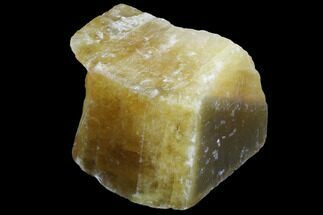 The plate is made up of stunning cubic crystals with textured dodecahedral edges of up to 2.32" sitting on a matrix of gray barite. 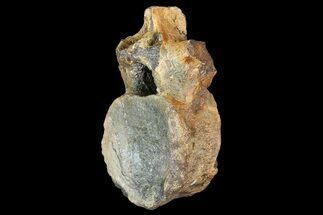 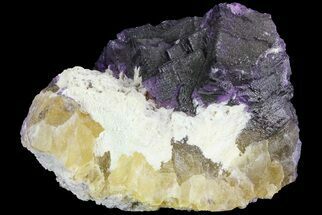 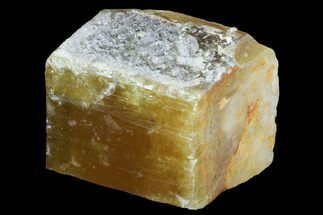 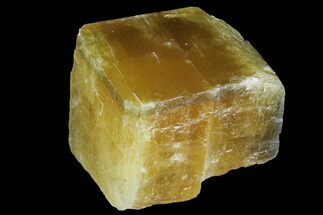 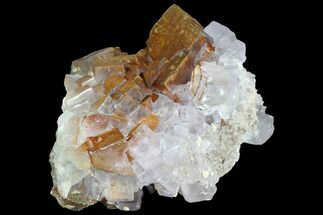 There are also a few well-formed small calcite crystals present on this eye-catching specimen.